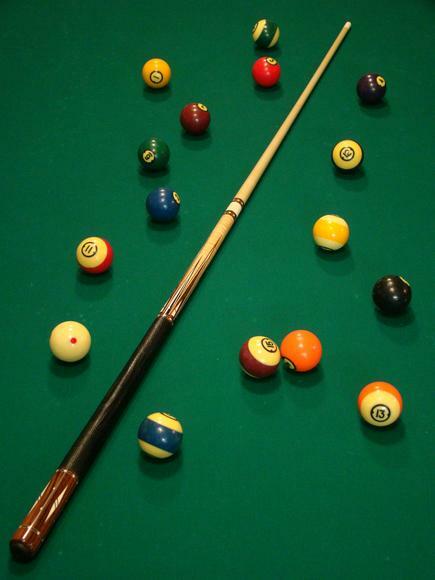 A little history about myself, I've been around pool since the mid sixty's and all I did then was play and watch the real good players's, hopping I could improve my game. I later got married and left the game until 1991. Then A long time friend of mine, John Carmichael, some of you might have known him, told me that alot of the guy's that I knew from the old days from the Custon & Cue, Yorks and Big Town were playing at a new pool room near Northlake mall area called the "Green Room". This is where I got started back playing pool, and found out that many things had changed, like there were leage's, in house tournaments and a Pro Tour. After I starter playing in the tournaments, pool was good entertainment for me, so my buddy John and I started going to some the bigger week-end tournaments, and later to several Pro tournaments. While going to these tournaments I saw someone doing Cue repair work and I watched and watched because I tought "I can do this", so I started asking questions and getting information and then bought some start up tools. The truth is, cue repair work wasn't as easy as I thought, I had to develop my skills and buy the right tools and as in the beginning ask more questions. Work at first was hard to come by because people just don't let anybody work on their cue, but after several years I got more work and referals, also I do most of the work from Mr. Cue's II. I worked for three years at "The Pool Room" at Gwinnett mall. Now doing the work is rewarding. So thats my story and I'm sticking to it. Schedule: I'm now available to do your work in Mr. Cue's ll, while you wait. Shop # 770-491-1119 or Cell # 770-354-8500.